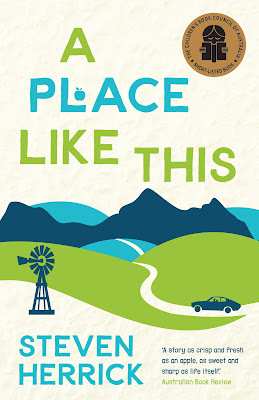 Sixteen year old Jack muses about his life, the compulsion to become an author, living with his father who works long hours as a print journalist and his nineteen year old sister Desiree and her hint of lip hair. Since their mother passed away from breast cancer, Desiree self examines her breasts each night, while Jack watches his father in the back garden, playing cricket at midnight. All fundamentally flawed and impacted by death of their wife and mother. Jack and Annabel have been dating for two years. With high school over they’re about to start university, until Jack decides to chuck it all in. The freedom of the open road beckons Jack and Annabel, leaving behind their families and art degrees in favour for adventure wherever the wind will blow, their bank manager brown seventies vehicle having reached the unexpected destination of an apple orchard. With meager wages and a barnyard bed of hay, working the orchard during daylight and making love all night. Pregnant after a sexual assault she cannot remember, sixteen year old Emma is waiting for her unborn child, wanting to leave the orchard and her father behind. George, mourning the loss of his wife while providing for his children. Intersecting and inspiring, life blossoms through a series of journeys, rather than the destination. Love, Ghosts & Nose Hair and A Place Like This are a lovely exploration of family, free spirit and the love that unites us. Jack is a quiet and thoughtful young man, still grieving the loss of his mother while struggling to find his place in the world. 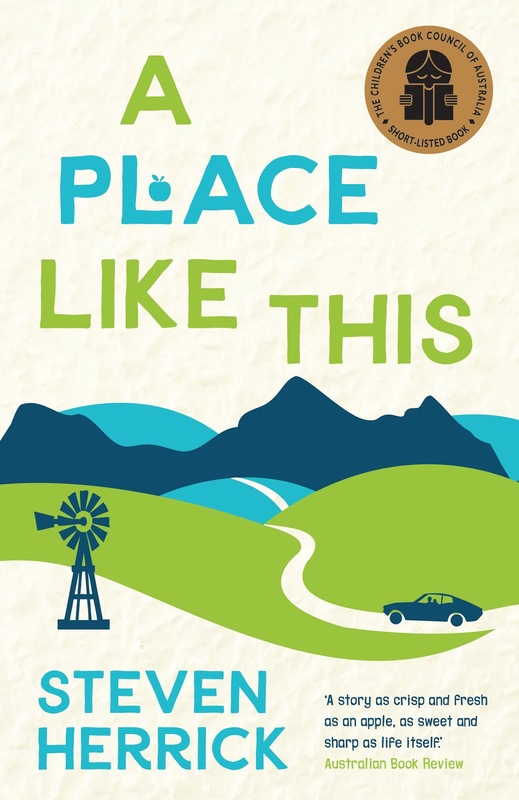 Throughout the poetic narrative, the reader experiences aspects of the lives of others as glimpses of Australia through our communities. While I felt disconnected to Jack initially, I adored A Place Like This and the varying aspects and stages of our lives. The freedom of being young with no obligations, to a teenage mother struggling with the identity of her unborn child's father. I found George and Emma's narratives honest and enchanting. Emma is only sixteen years old with the weight of motherhood baring down on her slight shoulders, the pregnancy a result of an assault at a party she has no recollection of. Surprisingly, her father George wants to support his young daughter while providing for her siblings, his wife and the mother of his children walking out of their lives years prior. Steven Herrick is a masterful storyteller, sharing snippets of our Australian communities through verse. Oh wow. Living under a rock I have obviously been. I hadn't heard of Steven Herrick before, oops my bad, but I really like the sound of these. I will have to check them out :-). Wait! I have heard of him, he's the Mullet Town man! I hadn't looked into any of his other stuff, also my bad, and obviously I should!! That's him! I've loved his more recent titles and really enjoyed A Place Like This. 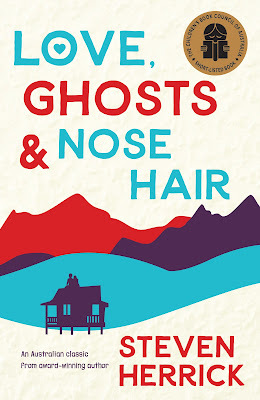 Love, Ghosts & Nose Hair wasn't a favourite of mine but still enjoyed reading Jack and Annabel's history. Sounds like a distinctly Australian novel...and right up my alley, if I may say so myself. :D Too bad we'll never see it up here. Sigh. It's actually a much older release Joy, they've just rereleased it with new covers which are lovely compared to the old ones. You could probably find them cheap on Amazon or The Book Depository. I'm glad it got better in the second one. I hadn't heard of this one, thanks so much for sharing! Thanks Lauren and it did. I enjoyed book one but it just fell a little flat for me and felt as though I wasn't invested in the storyline. Really enjoyed A Place Like This though and you don't need to read the origin story to enjoy it either. These book sound amazing! I haven't heard of these before but good to hear you enjoyed them! Thanks Anisha, there's nothing quite like an Aussie author. They are Ailyn. One is their origin story and the other is an adventure narrative. Both great reads but enjoyed A Place Like This so much more. I just saw how short each story was. So reading them both together wouldn't take much time.They sound lovely. I read them all on the same afternoon. They're lovely reads, I really enjoyed A Place Like This. I have a complicated relationship with books in verse: I can't say I like them entirely but I have started reading them. I don't know if I'd pick these up but I do see why you love them. I would love love to.know why he went with verse for these. I'm pretty sure he only exclusively writes in verse Verushka. I've read a few of his titles now and they've all been in verse as well. He's an amazing Aussie author, mt favourite so far has been The Simple Gift. I love the covers to these novels and it sounds surprisingly insightful given they are written in poetic verse. I know Jenna really enjoyed them as well. Lovely reviews Kelly! Thanks Jeann. Steven Herrick is such a favourite of mine and although these haven't been my favourite of his works, they're still wonderful reads.